Microsoft has added a new comfort keyboard and mouse to its range with the launch of the Microsoft Wireless Comfort Desktop 5000. The Microsoft Wireless Comfort Desktop 5000 is optimized for Windows 7 and is designed to provide a comfortable layout that encourages a natural wrist posture, it also features a soft touch palm rest. 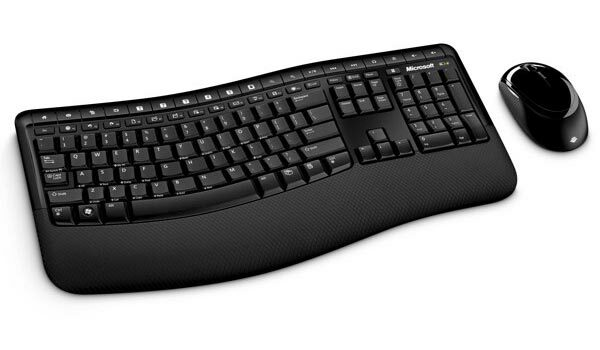 This new keyboard features a host of one touch buttons designed for Windows 7 including a Windows Flip button on the mouse and keyboard, both the mouse and keyboard connect to your PC via a 2.4 GHz USB receiver. The Microsoft Wireless Comfort Desktop 5000 will go on sale later this month for $79.95.